Our research team reached an important milestone in May with the launch of an integrated mHealth system as part of our research study on the effectiveness of short-term cash assistance for people starting HIV treatment. Built by Rasello CS, the system was launched at four clinics in Shinyanga, Tanzania and includes a biometric patient tracking system, automatic delivery of cash transfers through all major mobile money providers (e.g., M-PESA), and collection of survey data. In a major departure from the paper- and cash-based methods of past research studies, when patients attend clinic visits for HIV care they now scan their fingerprint in the pharmacy and information about the visit date, antiretroviral therapy dispensing, and their next visit is digitally captured. Not only does this improve the accuracy of measures of retention in care and adherence, but it reduces the amount of missing data and ensures that patients receive cash transfers within 24 hours to their chosen mobile money account. Perhaps the most exciting feature is that it provides us with real-time data about patient behavior which can be used to improve the clinic experience and the effectiveness of our supportive programs. Sandi McCoy presenting on a Gates Grand Challenge Explorations project. Jillian Kadota, Sandi McCoy, Carolyn Fahey, and Nancy Padian. Carolyn Fahey presenting her work. Jillian Kadota at one of her two posters. This week our team traveled to Paris for the 9th International AIDS Society Conference on HIV Science where we presented our latest research findings. Doctoral student Carolyn Fahey presented her work on the effects of short-term cash and food assistance on food insecurity and labor force participation among HIV-infected adults in Tanzania (watch her presentation here and see her abstract #TUAD0204 in the abstract book). Recent MPH graduate Jillian Kadota presented an analysis that found that cash transfers do not increase the use of temptation goods like alcohol, a reassuring finding consistent with prior literature on cash transfers. She also presented an analysis which found that cash and food transfers work the best among those who were recently initiated on antiretroviral therapy and among the poorest patients, which may be related to the cost of transportation to the clinic. These data can be used to better design future cash transfer programs for people living with HIV infection in Tanzania and elsewhere. 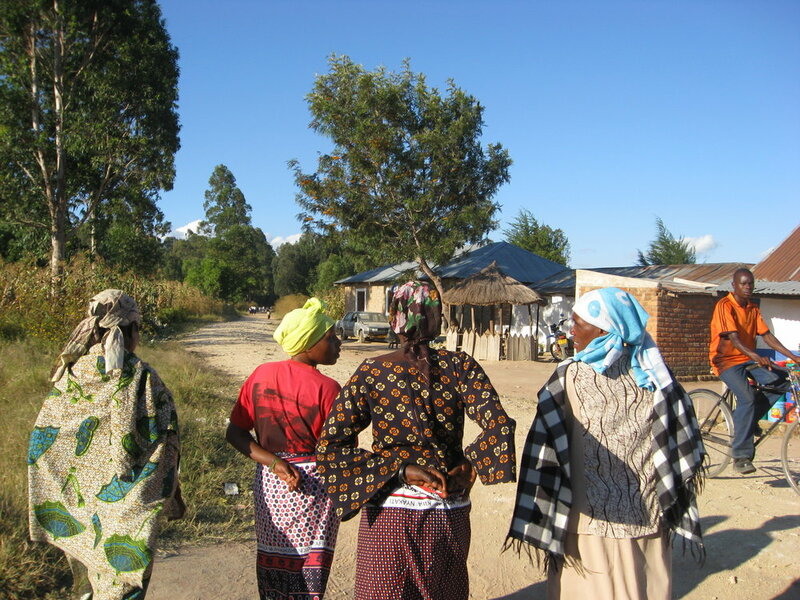 Lastly, we presented the results of our study that used human-centered design to develop an intervention using social norms and priming to improve adherence to antiretroviral therapy and retention in care among adults with HIV in Tanzania (watch the presentation here and read about the full study in PLoS One). We also published a two-part series on this study in the Stanford Social Innovation Review (see Part I and Part II). A very successful week for our research team and we are enthusiastic about incorporating the new ideas and perspectives we learned in Paris into our future work. Can gamification help prevent HIV infection? The UC Berkeley, AIDS Healthcare Foundation, and UCLA team. We are proud to announce the launch of a new project to determine whether gamification, the use of game elements in non-game settings, can improve the sexual health of gay and bisexual men in California. The project is funded by the U.S. National Institutes of Health and is a collaboration between UC Berkeley, AIDS Healthcare Foundation, and UCLA. Our goal is to to encourage young high-risk gay and bisexual men to be regularly screened for HIV and other sexually transmitted infections (STIs) and to adopt safer sexual behaviors. The results from the study will provide guidance about whether interventions using gamification can reduce high-risk behavior and decrease the incidence of HIV and STIs among young MSM. Read more about the project in the UC Berkeley newsroom. I was very honored to participate in the 2015 UC Berkeley Center for Global Public Health Annual Symposium entitled “Making Cents, Making Change.” The one day workshop focused on economic innovations for adolescent health and wellbeing. The distinguished guest list included Fred Ssewamala, Associate Professor of Social Work and Director of the Columbia University International Center for Child Health and Asset Development, Dr. Lousie Fox, former Lead Economist at the World Bank (Africa Region), and UC Berkeley faculty members Dr. Ndola Prata, Dr. Doug Jutte, Dr. Ali Minnis, and Dr. Colette (Coco) Auerswald. One of the key discussions during the day addressed whether economic interventions are most likely to be effective and sustainable when delivered at the individual, community, or policy level. Although the Centers for Disease Control (CDC) recommends that everyone 6 months of age and older gets a flu vaccine every season, many people don't get vaccinated. Here's what Safeway is doing about it: offering a coupon for 10% off of your next shopping trip in exchange for getting vaccinated. From a public health viewpoint, this might be a very effective strategy to nudge people to get a vaccine for a disease they think they aren't susceptible to or can easily recover from, especially because the influenza vaccine best protects a population when a critical proportion of people are vaccinated (a concept called "herd immunity", explained in this nice video from Upworthy). The AARP speculates that retailers are willing to offer incentives like this one because of attractive profit margins combined with the increased likelihood that you'll buy other items in the store. Financial incentives such as these are known to increase the demand for a variety of health services, including vaccination, but the jury is still out about whether this strategy can achieve real impact on influenza transmission rates. What do you think?